Life After Death From Above 1979 tells the story their rise, break-up, and coming back from the dead. They were propelled into the limelight based on the strength of their raucous live performances and the release of their seminal album, You're a Woman, I'm a Machine (2004). But as the band's success grew internationally, their friendship became strained due to constant travel, and little-to-no buffer between them. Over the course of grueling schedules and never-ending tours, they broke up in 2006, right after the biggest tour of their careers, ending the band before reaching potential stardom. In 2011, after five years of silence between them Jesse and Sebastien decided to reunite for one show: the legendary Coachella Music and Arts Festival. 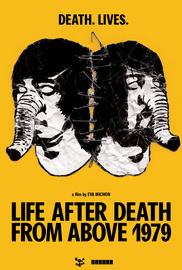 Life After Death From Above 1979 tells the story their rise, break-up, and coming back from the dead.